I have seen quite a fee people on social media recently calling Robert E. Lee a traitor. While I agree with this accusation, I wonder if others follow their logic through. If Lee is a traitor, then so is Washington. Lee betrayed his country (the US) and Washington betrayed his (Great Britain). 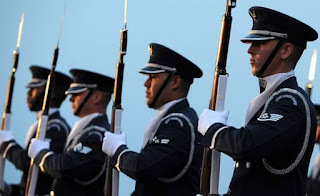 Both men put aside their military uniforms of the country they had sworn an allegiance to defend and instead took up arms against their country, killing men that wore the uniform they once wore. 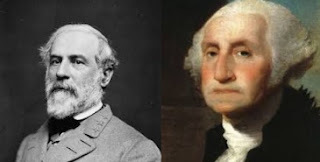 If anything, Washington is one-step further a traitor than Lee, if only because he formally aligned himself with France, a most shocking and backstabbing move, France being the enemy above all enemies to Great Britain at the time. Perhaps the best thing to do is simply refrain from calling men like Lee and Washington traitors, especially since these men were, in all honesty, distinguished men of honor, and far greater men than any of us could hope to be in our lifetimes. In Patrick O’Brien’s Napoleonic era, historical fiction naval series, Captain Jack Aubrey begins most missions with a mixed crew; veteran seamen, land lubbers, convicts, foreign seamen pressed into service. Strife is the norm. In each case Captain Aubrey confides to the ship’s doctor and close friend, Stephen Marturin, how he longs for a life-threatening storm or battle to occur. This inevitably happens, drawing the crew close together and in turn begin performing to Captain Aubrey’s famed standard of proficiency; no more than one minute twenty seconds between broadsides. 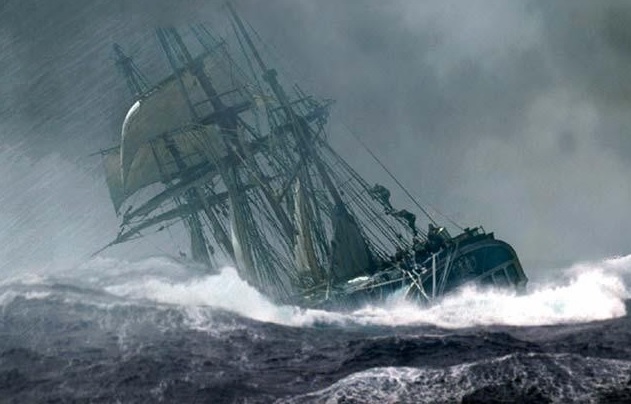 The external threat of a great storm or foe forces the mixed crew to forget their petty differences and instead focus on their common concern. 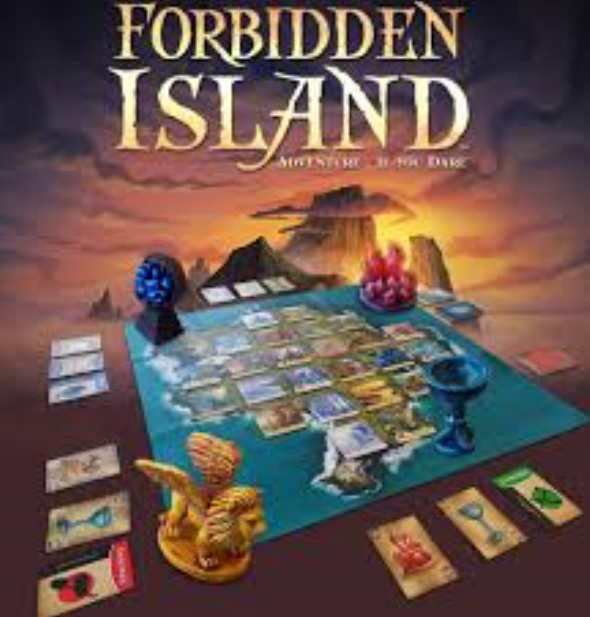 My favorite type of board games are of the cooperative variety rather than the “every man for himself.” A great example of this is Forbidden Island, which requires all of the players to work together in order to escape from a sinking island. 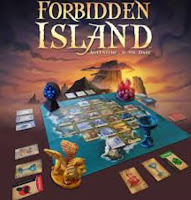 Dungeons and Dragons could be another example of this style. The players quickly realize, some faster than others, that they need one another if they are to survive the threat. The players become imminently aware of their own vulnerability, cured only by relying on one another. I have noticed a greater sense of bonding and camaraderie among the players walking away from these types of games. Natural disasters in real-life are world shattering. Nobody wants them. Yet, they do have an amazing way of fostering solidarity among humans. The trivial matters that divide us take a back seat when we are faced with a common, external threat. It is in these moments, working together, that humans are able to perform impressive feats. We become aware, if only briefly, what we can accomplish together as a species. Therein lies the problem, however; we are forgetful. While catastrophes fortunately are temporary, so also is the boost to our collective good will and ingenuity. We forget and soon again focus on the trivial trial one foot before us. It is in this context that I say, thank goodness for the next catastrophe, because I like the thought of firing three broadsides in under two and a half minutes. Don’t you? Politics in America is becoming ever more polarizing. We are expected to fall in one extreme camp or another. The collective is king. “You are either with us or against us…and your silence is agreement.” This is classic identity politics. Identity politics is a crucial step on the road towards authoritarianism. In order to have complete obedience from a people, individual freedom of thought and action must be placed in subjection to the desires of the collective. Identity politics facilitates this process by convincing individuals that they belong to a collective, sharing mutual desires and concerns. To aid in this effort, flames of fear and hatred, already inherent to the individual, are fanned in a direction that suits the collective. The collective then claims to have a solution, but only lacks the necessary power to make it possible. Desperate for a solution, the individual willingly hands over their freedom of thought and action. The Jewish-German philosopher, Hannah Arendt (1906-1975), was a refugee from Nazi Germany. She spent the rest of her life trying help herself and others understand how everyday people can be complicit with atrocities that accompany totalitarian regimes. The result was her work titled, "The Origins of Totalitarianism." Roger Berkowitz is a scholar of Arendt's work and interviewed here. In the interview, Berkowitz explains how we are drawn to identity politics because we "actually prefer a lying world of consistency that upholds our sense of purpose and meaning in our movement and our identity, than the messiness of reality, which actually makes us feel unmoored from any meaning and purpose in life." The Left's ongoing complicity with Trump and the Right in the falsification of reality is hindering productive public discourse. As the conversation continues to break down and drift from reality, the more likely we will see a totalitarian ideology take power in our time. 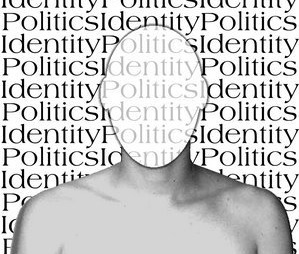 How do we fight identity politics? First, acknowledge one’s own fears and hatred. Second, be on guard against collectives that will try to use our fears toward their own ends. Finally, practice valuing and respecting one another. This means we ought not to assume the worst in one another. Through this, we rob the many collectives in the world of their primary tool for gaining power. Is Our Military Force Structure Outdated? Our military force structure once divided officer and enlisted based on class; nobility vs. the commoner. That was great when men still wore white tights, but we have since evolved beyond the taste of such civilities. We eventually replaced the often out-of-reach trait of nobility with higher education, our nation's version of an out of reach trait for commoners. Not so any more. The enlisted force is becoming more educated by the year. Many enlisted, most notably our senior enlisted, have bachelor’s degrees (31%) and master’s degrees (10%), while 77% of company grade officers only have bachelor’s degrees. And while these senior enlisted members bring far more experience to the table (usually 3 times the number of years), they are still out-ranked by the lowest of “wet-behind-the-ear” officers. All of this has led some to begin questioning the legitimacy of utilizing higher education as a distinguishing trait for organizing our force structure. This article goes even further by calling into question the legitimacy of an officer/enlisted structure entirely. Despite the above vast sizes and distances, the Moon will appear precisely the same size as the Sun in precisely the same location from the perspective of Earth today. One might just consider this to be an occasional coincidence. Consider for a moment, however, that this type of phenomena to this level of precision happens nowhere else in our solar system. As such, it is viewable from the sole location that supports intelligent life. In addition, the phenomena occurs during a time in that intelligent life’s history where they are able to take advantage of the scientific treasure it bears, namely a greater understanding of our star’s outer corona. This was not possible centuries ago for two reasons; 1) the Moon use to be closer to our planet, completely obscuring the Sun during an eclipse (and hence our ability to study the Sun’s corona, 2) we did not have the technology centuries ago to take advantage of such a study even if it were offered. The more we learn about our nearest star, the more we will come to understand other stars and the universe in general. The more we learn about creation, the more we learn about our Creator. This is called “General Revelation” in fancy theological terms. We truly are in the age of cosmic discovery, at the right place, at the right time. 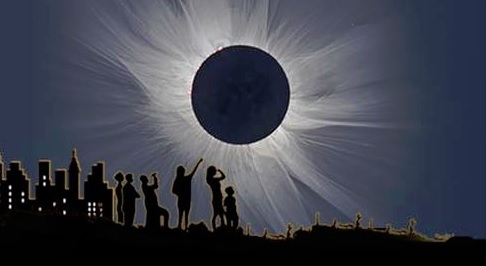 In other words, consider today’s total eclipse our Creator’s way of saying, “Look at this!” I consider that to be far too exciting to be a dull, mere coincidence. The US pulling out of the Paris Agreement was a mistake, not because Man is the leading cause of global warming (of which I am still not convinced), but because it moved the US further into political irrelevancy on a global scale. Look at China, the filthiest and grossest of polluters of all industrial nations (a living mockery of the Paris Agreement). Yet China remains with the Paris agreement. Why? Not because they care about the environment (they most certainly do not), but because they are playing the long game. They are patient, while Americans are impatient and pragmatic. Now Germany will begin to distance itself from the US and likely bolster ties with BRIC nations like India and China. Why? For one, Germany may be the only nation on the planet that actually cares about the environment for non-political reasons. The environment is a nationalistic passion of theirs, second only to their love of soccer. Second, the Germans smell death on the US Empire. They sense the change in winds, and its more than the grotesque flatulence of a certain US leader. The US staying in the Paris Agreement would have been expensive economically in the near term. The US will find that backing out will have its own costs, which will have long term economic impacts of their own. I congratulated a young Airman of mine the other day on her wedding engagement. 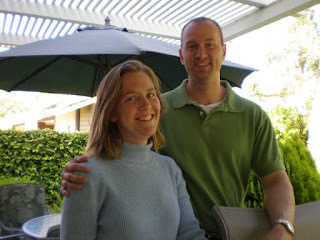 We talked about the difficulties married military couples face. The divorce rate in the military is almost double that of the civilian sector. One source of stress is the frequent moves. The average military couple moves 8.6 times over a 20 year career. I told her that my wife and I have moved 9 times in our marriage. Military couples also often marry young. I told her that my wife and I married when we were both 19 years old. Upon hearing that I had been married 17 years, she asked me if I had any advice. I told her it had a lot to do with our learning how to resolve conflict, lessons painstakingly learned together over the years. Here are a few of the things I told her. At the beginning of a marriage you both want to be really nice to one another. I myself would often hold back my thoughts and feelings when I was upset. That can only go on for so long before you eventually blow up. Ephesians 4:26 says, “Do not let the sun go down on your anger.” Be upfront and honest with your spouse when something is concerning or upsetting you. Eventually you are going to get into an argument. When, not if, that happens, you may need to seek advice outside the marriage. Be careful who that counsel comes from. Your “best friend” may not be it (if this is really the case, you probably just need a new “best friend”). I have seen too many marriages struggle or collapse because of bad counsel from family or friends that really did not have the best interest of the marriage at heart. Proverbs abounds in the importance of surrounding yourself with wise counselors. Seek them out and identify them now before you need them. This Airman also happened to be a Christian. I told her to ensure that they keep Christ at the center of their marriage. I did not become a Christian until the third year of our marriage. Our second year was really tough and we almost got a divorce. I learned my need for forgiveness and how to forgive others. In marriage, there will be a lot of forgiveness going on; both parties are sinners after all. When you forgive your spouse, you cannot bring up their sin again. That is what I mean by “forget it.” Sin cannot be forgot as in you will never think of it again. You can, however, forget it by not harboring continued resentment or by bringing it up in unrelated arguments later on. There was only so much advice that I could give in a short conversation. This Airman, however, has a good head on her shoulders and I think she will help improve the poor marriage statistics our generation faces. The idea to start this blog was out of consideration for my friends on Facebook who I believe found my posts hardly tolerable at best. This site was spawned as an outlet for my rants. You've been warned. Trying to Make Orthodoxy Orthopraxy...Help Me God!